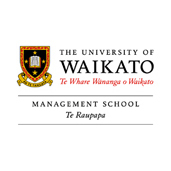 Waikato Management School made sustainability in all its dimensions a key component of its purpose in 2004 and it has remained committed to this vision and embedded this within its education programmes. Management education not only serves individuals and business, but also is a public good. It addresses contemporary challenges of the region and globally and addresses the economic, environmental, social and cultural challenges of our day. In 2008, Waikato Management School took the opportunity to step up as one of the founding signatories of the United Nation's Principles of Responsible Management Education – PRME. As a PRME signatory, WMS publicly reports on our progress toward our sustainability goals. Over 80 courses in our portfolio have sustainability content either implicitly embedded in the lectures or as an explicit focus of the teaching and assessment. Sustainability, ethics and responsible management are therefore taught across all disciplines, and academic champions lead the process of refreshing, rejuvenating and innovating our educational frameworks, materials and education environment. Scholars from all WMS departments have research interests and expertise in a wide range of sustainability issues. WMS has been a strategic partner with SBC since 2004. 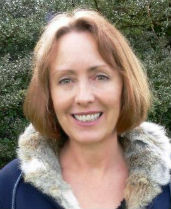 Examples of joint activity include an article by Professor Juliet Roper in the SBC newsletter in 2015 on her Marsden-funded research analysing the vulnerability of New Zealand's clean green international branding. In 2013 Lora Vaioleti, Juliet Roper and Eva Collins wrote the SBC commissioned report World Business Council for Sustainable Development 9 Priority Areas - Country Report - Aotearoa New Zealand.